As the markets anticipates with almost complete certainty that the Federal Reserve will restart raising interest rates in December, bearish or inverse Treasury bond exchange traded funds have climbed. For example, the ProShares UltraShort 20+ Year Treasury (NYSEArca: TBT), which tries to reflect the -2x or -200% daily performance of the Barclays U.S. 20+ Year Treasury Bond Index, increased 19.7% over the past month. Meanwhile, the ProShares UltraPro Short 20+ Year Treasury (NYSEArca: TTT), which takes the -3x or -300% daily performance of the Barclays U.S. 20+ Year Treasury Bond Index, surged 30.8%, and the Direxion Daily 20-Year Treasury Bear 3X (NYSEArca: TMV), which tracks the -3x or -300% daily performance of the NYSE 20 Year Plus Treasury Bond Index, advanced 30.1% over the past month. 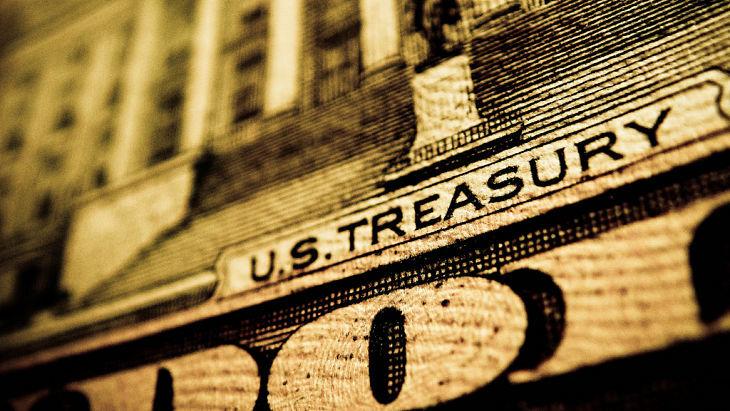 Treasury bond prices have fallen while yields rose as traders raised bets on a Fed interest rate hike ahead. CME Group’s closely watched FedWatch Tool briefly reflected a 100.2% probability of a Fed rate hike next month, reports Alexander Osipovich for the Wall Street Journal.